Jane & Michael met with me to discuss a custom invitation design when they couldn’t find anything online that really suited their wedding. After seeing some samples of other custom work, they selected a fun “back pocket” style card in wine and some stunning textured silver paper and then let me play! Adding a little inset curve to the corners of the border gave it just a little “pizazz”. 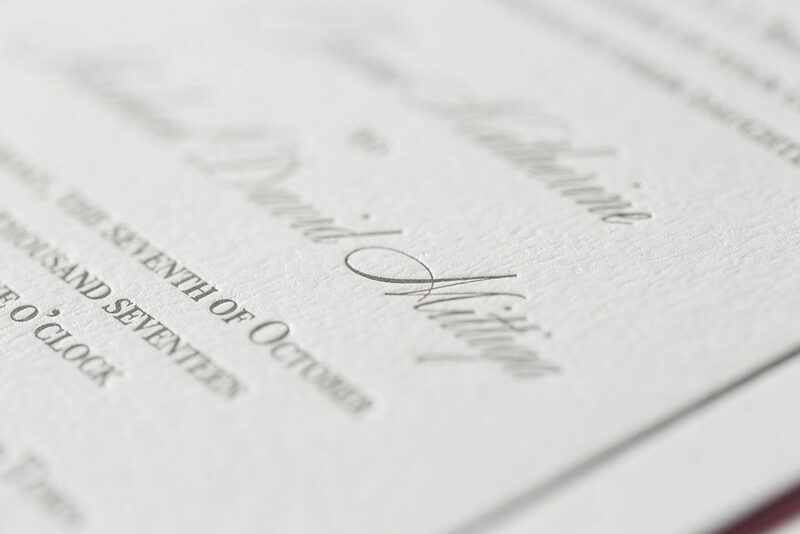 Mixing a pretty, traditional serif font with a contemporary and sleek script really helped give the invitation a formal and elegant feel. 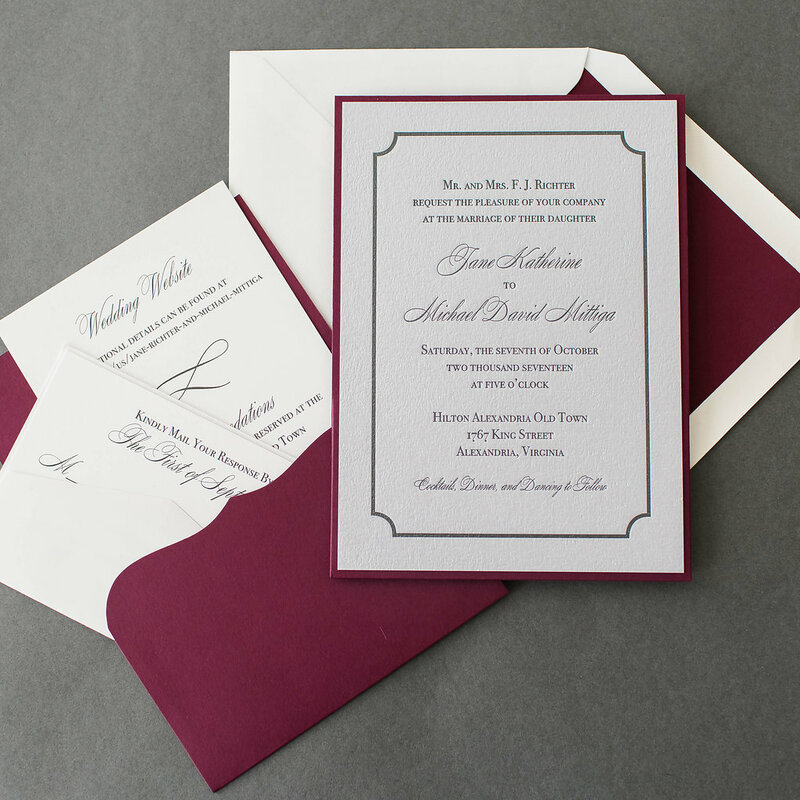 We paired the invitation with smooth white inserts and lined the white envelope with that beautiful wine color. Pictures just don’t do justice to the stunning quality of a textured silver paper. 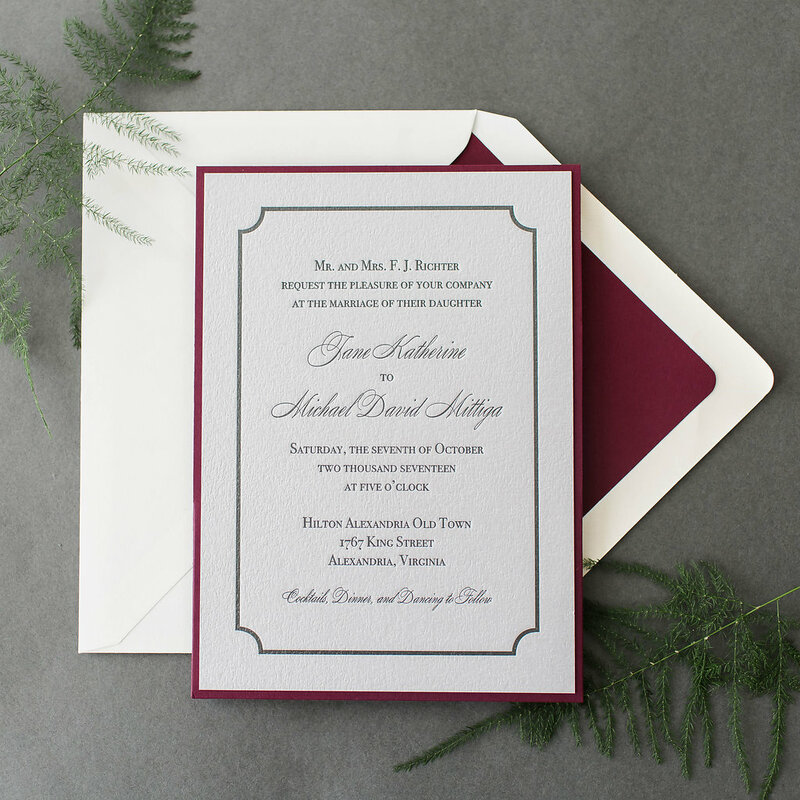 It letterpressed beautifully in a deep charcoal color. I can not say enough wonderful things about Kelly! 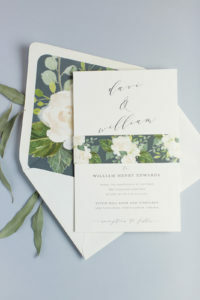 When I was trying to find wedding invitations I could not find anything that I liked. I wanted something simple and elegant and there was nothing that I was seeing online which remotely matched my vision. 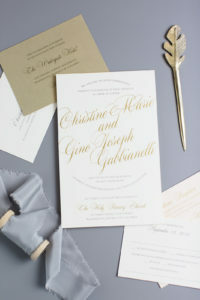 The first time I met with Kelly she was able to quickly come up with a beautiful design that blew me away. 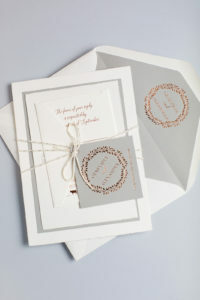 When I went to pick up my invitations they were so much more amazing than I had ever hoped for. 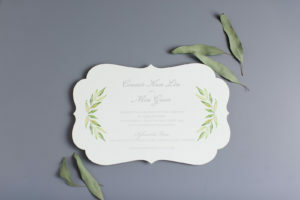 Even our guests were telling us how beautiful our invitations were. 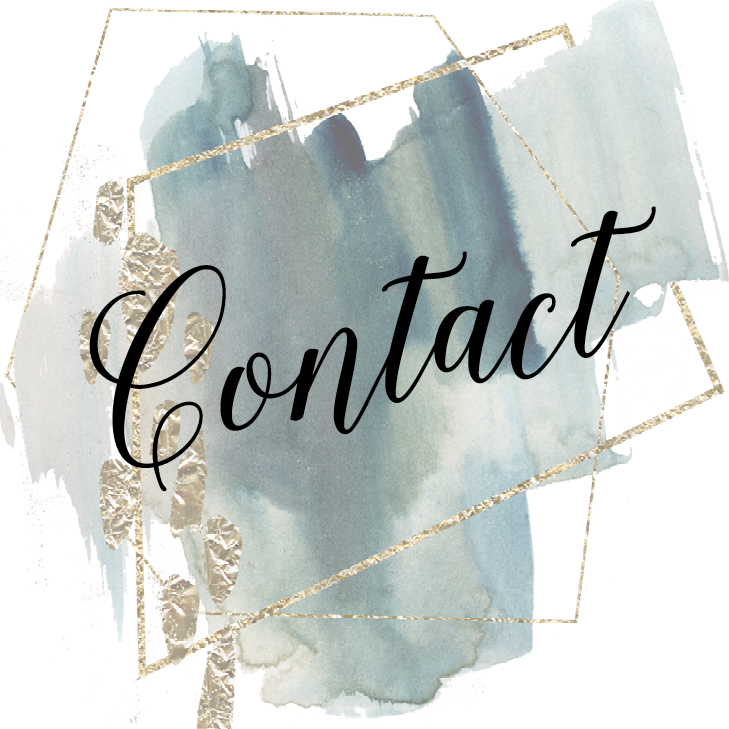 Because our invitations were flawless, I went back to Kelly to help design napkins, table numbers, place cards and seating chart. 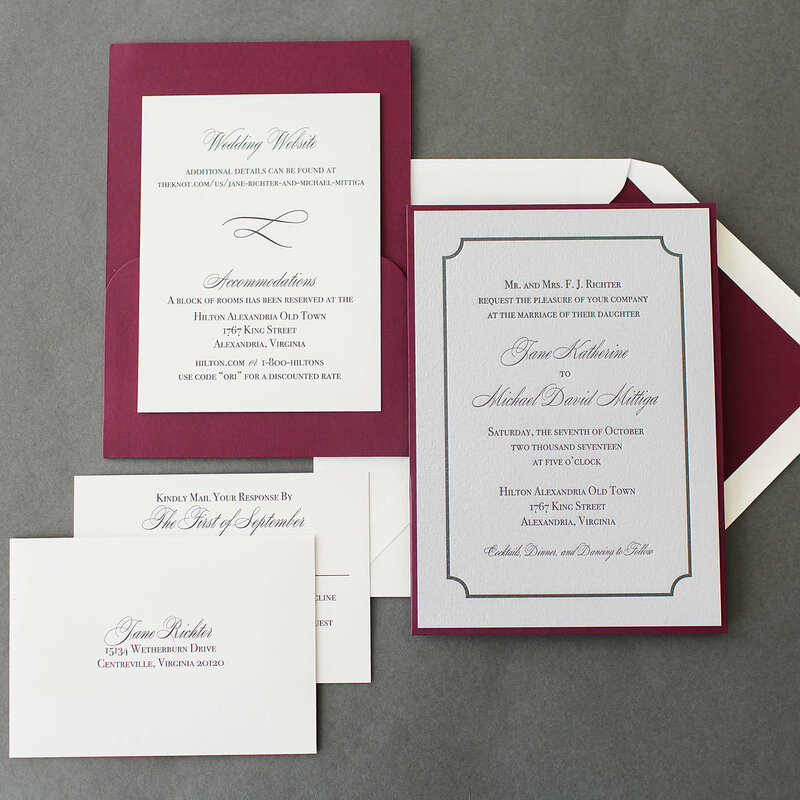 Again, Kelly blew me away with her fast turn around for design proofs and all my paper goods were perfect.